I talk to a lot of people who want to learn how to plan a healthy diet, but they’re not quite sure where to start. They know fresh food gives them more energy and improves how they think and feel, but their challenge is their busy life, and not knowing how to plan a healthy diet. When it comes to your health, there is nothing better than knowing how to plan a healthy diet and making your own food at home. This gives you full control over ingredients and how the food is prepared. Eating restaurant food is not great for long term health. Not only do you not know about the ingredients and cleanliness of the kitchen, but the energy of the cook is always stirred into the food…and you have no way of knowing his or her temperament. Eating a seasonal diet makes use of the foods that are harvested in that season so that you get what your body needs for that season. Springtime, you need bitter greens, sprouts, and roots to lighten and cleanse from a heavy winter diet. Summertime when the days are long and warm, nature provides us with lots of high-carb fruits and vegetables for more energy and juice fruits to hydrate and cool us. Wintertime, you need more protein and fats to keep you warm and insulated. CLEAN EATING 101: Kicking the Junk Food Habit in 30 days! Success! Now please check your email to receive your CLEAN EATING 101 Guide. If you don't see it within a few minutes, please check your spam mail. In his most excellent book, The 3-Season Diet, Dr. John Douillard explains that there is no such thing in nature as an RDA (recommended daily allowance) because it's impossible to meet your nutritional needs in a day or even a few weeks; it takes a full year to meet all those needs. The 3-Season Diet is not a fad diet book. (Diet's don't work.) The 3-Season Diet is an eating plan for life so you can eat what nature is intending you to eat at that time of year in order to stay at your optimal weight and keep your health and vitality. Nature in her infinite wisdom knows exactly what we need at different times of the year. You are literally harmonizing yourself with nature… and where there is harmony, there is health. Your diet should change 3 times a year. Your diet should change 3 times a year according to the three main harvests. 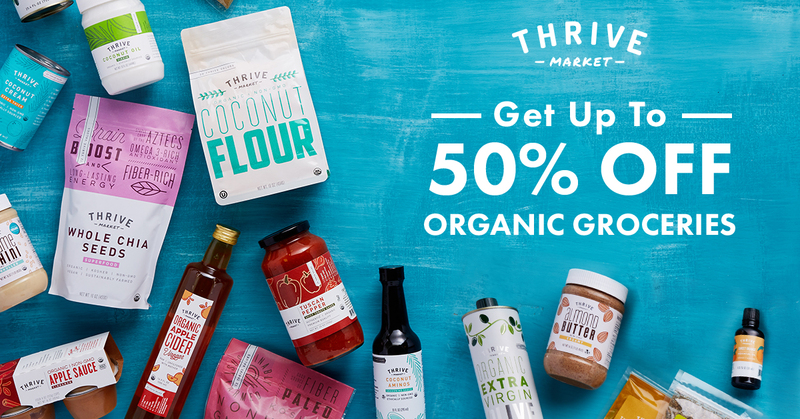 A well-stocked healthy pantry will ensure you have everything you need to cook good food on the fly. I like to keep the following staple foods in my pantry. I like to store grains, beans and pulses in glass ball jars for easy identification and measuring. Use spices when you cook not only for the taste they give to food but also for their many healthy benefits. Spices not only promote healing, they are loaded with phytonutrients that prevent chronic conditions like heart disease, cancer, Type II diabetes and Alzheimer's disease. You'll never find fresh spices in your grocery store. The spices you'll find at your local grocery store have likely been there for a year or more and have little medicinal value. 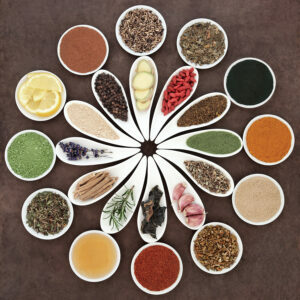 Find a company that specializes or sells a lot of spices so you know the stock is fresh and of high quality. When you buy anything new, always choose the best you can afford. A cheaply made product may save money short term, but in the long run, replacing cheaper products ends up costing more money…and it ends up in a landfill somewhere. There is an old Finnish saying that “poor people cannot afford cheap things”…a wise woman said to me when I was just married. I followed her advice, and it has served me well over the years. Chefs knife – 8-10″ blade (depending on how big your hands are) This is the knife you will use for almost all your cooking. Serrated knife – A must for bread, tomatoes, and large fruits or vegetables like melons or squash. I'm not going to lie. All-Clad Stainless Steel pots and pans are more expensive, but you'll have them forever, and it's worth an investment in your health. 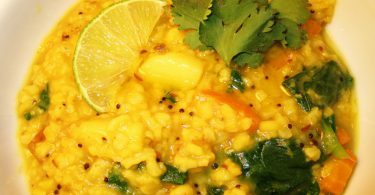 Pressure Cooker – A pressure cooker is your key to daily fresh soups, stews and beans and traditional Kitchari. I add the ingredients to the cooker, bring it to pressure, turn the heat off and come back an hour later to a delicious, healthy meal. Romertopf Glazed Clay Cooker – I got one of these as a wedding gift 30 years ago and I still use it regularly. It makes the best Roasted Chicken you'll ever taste. Add carrots, onions, and a few potatoes and you too will be hooked for life. Everything cooks in its own juices, so the natural flavors are intensified. Plus all of the vitamins and minerals are retained and nothing ever burns. This is one pot cooking at it's best and cleanup is a breeze! Here are some time-saving suggestions that will make cooking healthy much easier. Make a batch of beans for salads, wraps, or add them to rice or quinoa. If you have beans, you have the makings of a healthy meal. Soak nuts and seeds overnight and they become easier to digest because the fats in them become more available as fatty acids. Seeds and nuts are a great addition to salads and they can be stored in the fridge for days. Pressure-cooking beans and grains reduce cooking time by about one-third. I like to pressure cook beans and store in small containers. They freeze well and freezing helps reduce gas. Keep a few basic sauces like a miso/tahini mixture. You can add garlic, ginger, or mustard to make a salad dressing or sauce over grains. Ayurveda considers digestion the single most important principle for health. The ability to digest well is important because it maintains the immune system. We are essentially taking something that's not us and turning it into us. 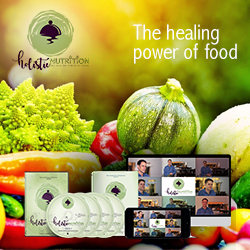 If digestion is complete you will experience health…If not, disease. Your ideal meal should be about the size of your two cupped hands. Eat at a moderate pace until you are 75% full. Overeating is one of the major causes of disease in our society. When you eat too much, digestion becomes difficult. Eat your main meal at lunch for optimal digestion. Your digestive fire mirrors the sun, and just as the sun is highest and hottest mid-day, so too is your digestive fire. Chew your food well. Digestion begins in the mouth. When you chew your food well, your body releases digestive enzymes in the gut to help break down the food so your body can convert it into energy. Sip only room temperature water with meals. Iced or cold drinks destroy the digestive fire and lead to indigestion and gas. Don't watch TV, read or listen to loud music while eating. Avoid upsetting conversation and all conversation about emotional or intense issues while eating. (you won't digest well). Eat food prepared with love. The energy of the cook is always in the food, so it's best to eat food prepared by someone who loves you. Eating is the one thing that can affect your health the most and every day you have an opportunity to make the most of it. If you really desire a change in your body and health, start by changing your diet and lifestyle habits. It can be empowering to take charge… And taking the time to learn how to plan a healthy diet will set you up for health and longevity and help you dodge chronic diseases. Hey Jackie nice tips on digestion. I am trying to eat healthy and lose some weight. I take a lot of vitamins, but i still feel very tired during the day. What kind of food would you suggest to stay healthy and give energy at the same time? By the way awesome site, I’m definitely bookmarking your site. Hi Afees, In the springtime your body wants to naturally cleanse and lighten (after a heavy winter diet) so bitter greens and sprouts are a good thing to add to your diet. Also aim to eat less meat, dairy, bread, etc., (in springtime) You should definitely sign up for Dr. Douillards 3 Season Diet challenge. It’s free! (link is in the post above) His food lists are so helpful and his approach is so solid and logical. If you start to eat this way, you’ll never have a weight issue again and simultaneously you’ll feel satisfied and in balance. Thanks for your comment. I like the pantry list. There are some foods I do not have in my pantry that should be. 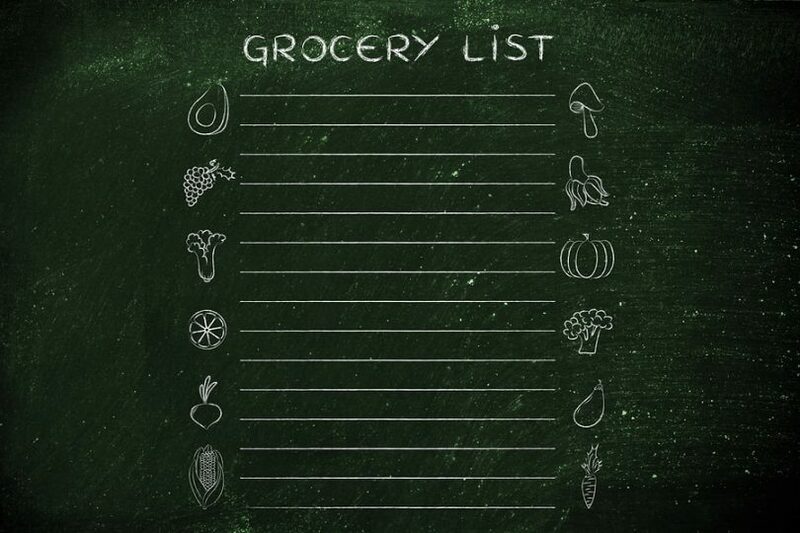 I made me a shopping list from this 🙂 Just no nuts and seeds….not that they are not healthy, I just do not like nuts and seeds. I like the food prep ideas. The mason jar salad is a great idea! I also like roasting a large pot of vegetables. I have not done that in a long time….but need to! Thanks for sharing your great ideas! Thank for the comment Matt’s mom! 🙂 Our local farmer’s market is on Sunday. I typically come home and roast a big pan of veggies for the first few days of the week when i’m busiest…Appreciate you taking the time to comment! 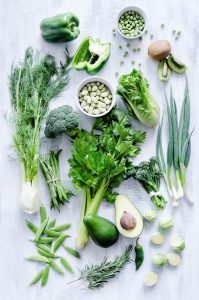 This is a really interesting post, I’d like to think I have a fairly good diet (I’m a bod builder) what I haven’t really considered or looked at before is having certain vegetables in certain seasons. I think the “global market” has spoiled us in some ways when it comes to food as you can essentially get hold of any time of veg or fruit regardless of what year it is. Nature is all intelligent. She gives us the seeds to cure our ills in each season. The 3-Season diet works with the body’s natural response to each season. Thanks for the read! Thank you for all of the detail you have provided for planning a healthy diet. I have always thought that my diet is quite healthy however I still suffer from indigestion and gas/bloating. I tried cutting out foods that are known to cause gas such as cauliflower and broccoli, but it hasn’t helped much. I always have a glass of ice cold water with meals, but I see that you are recommending to stay away from this in order to improve digestion. I haven’t heard of this one before, but I am willing to give it a try! Hopefully it will help ease some of my symptoms. 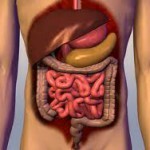 Hi Simone, Digestion is a key principle in Ayurveda. Digestive fire can be compared to a burning fire and recommends avoiding cold drinks at meals and ice-cold foods in general. This is like putting cold water on a burning log. Iced water extinguishes the digestive fire. Once you get into the habit of drinking beverages at room temp, you will notice a dramatic improvement in your digestion. Cold drinks mixed with warm food food can cause gas, bloating and indigestion. Wow, I had no idea. I am going to try switching to room temperature drinks and see if that helps some of my digestion issues! Awesome! I’m working on a post now with more tips on how to improve digestion, so please check back. This is a great article informing people how to eat better and lose weight. I have been trying to follow an ayurvedic approach for years, ever since I visited India in 2005. I have to say that by adopting this diet routine into my daily life has worked wonders. Energy levels have increased and ailments with skin conditions have now gone. So happy you found Ayurveda Ryan, (or as i like to say…Ayurveda found you!) It’s a game changer as far as health and longevity are concerned. Wow I would definitely call it the ultimate guide on how to plan a healthy diet. You packed a lot of awesome information in this guide. I really loved the stock your pantry part, because I do make my food on the fly and really don’t spend much time to cook because I always want to do stuff. So that was really simple for me. One thing that I wanted to ask because I read the disgestion part, I have been having some issues inthe morning eating certain strong things like dates or taking vitamin pills straight when I wake up, sometimes It makes me feel sick, any idea why? Hi Ben… I hope you found something in the guide that enables you to cook more often for yourself at home. I cannot stress how important this is to your ongoing health and well-being. I would advise you to take supplements during the hours 10 am to 2 pm, when digestion is at it’s peak. Digestion is somewhat fragile in the early morning hours, so your nausea is most likely due to this reason. Also, you may want to have a cup of ginger tea after taking them which will also help digestion. Thanks for stopping and commenting.